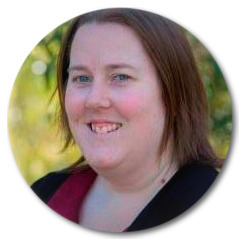 Laura is an endorsed Forensic Psychologist who completed her Forensic Masters degree at Bond University. Her career to date has involved working within private practice and government roles including Prison Mental Health services, MHATODS, High Secure Inpatient Services and Community Youth Forensic Mental Health. Within these roles Laura has worked with clients with complex behaviours which have brought them into contact with the criminal justice system. Within these forensic contexts she has provided assessment, treatment and management support to both adolescents and adults with mental health disorders, substance misuse and personality disorders. Laura has completed training in psychometric assessments relevant to providing structured risk evaluation, including the HCR 20 v3; Stalking Risk Profile; SARA; and assessments of cognitive capacity. She has experience working with a breadth of clients including males and females and people from and Aboriginal or Torres Strait Islander background, as well as being adept at working with individuals from a culturally and linguistically diverse background. She is a member of the Australian Psychological Society and Australian and New Zealand Association of Psychiatry, Psychology and Law. Laura also provides professional supervision to provisionally registered psychologists undertaking university courses as well as the 4+2 and 5+1 pathways. Laura has a down to earth approach that attempts to place clients at ease to share their histories and develop shared achievable treatment goals.